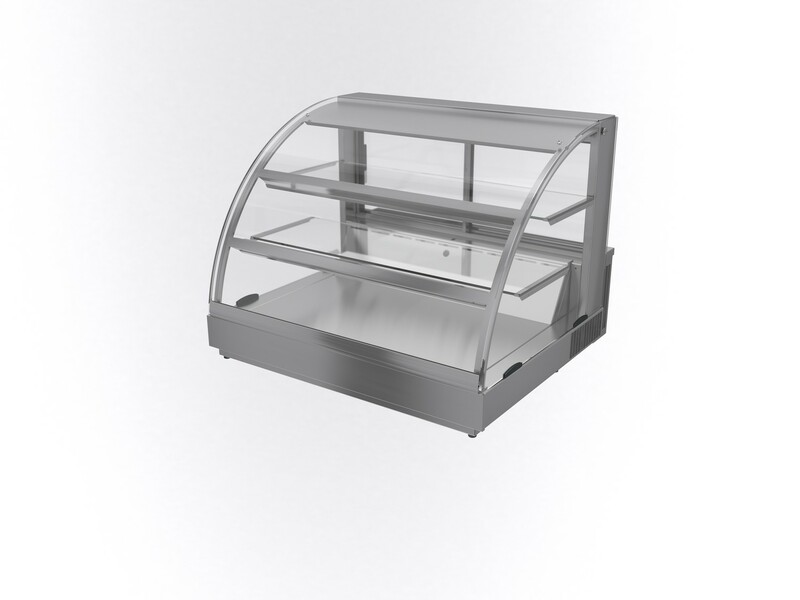 • Chilled countertop food display for self help service. • Sliding double glazed rear doors. • Integral condensing unit with fan blown refrigeration system. 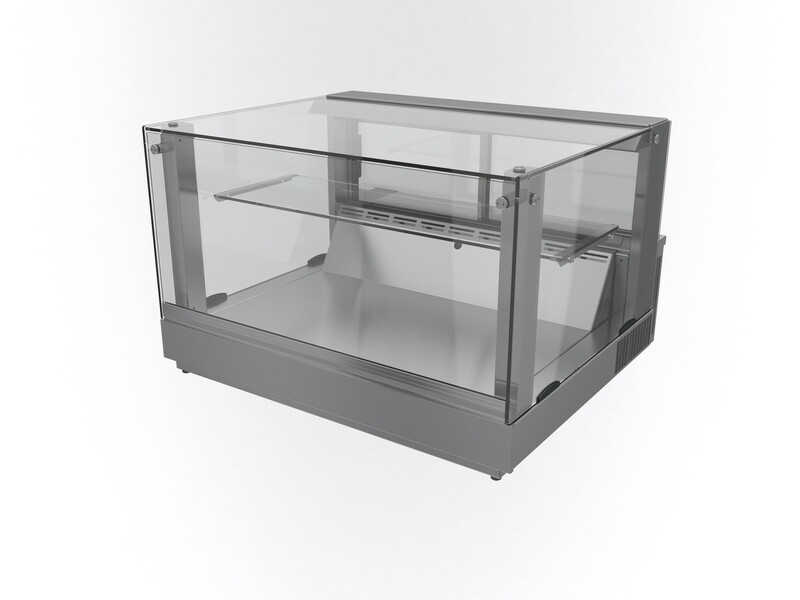 • Fully enclosed chilled countertop food display for assisted service. 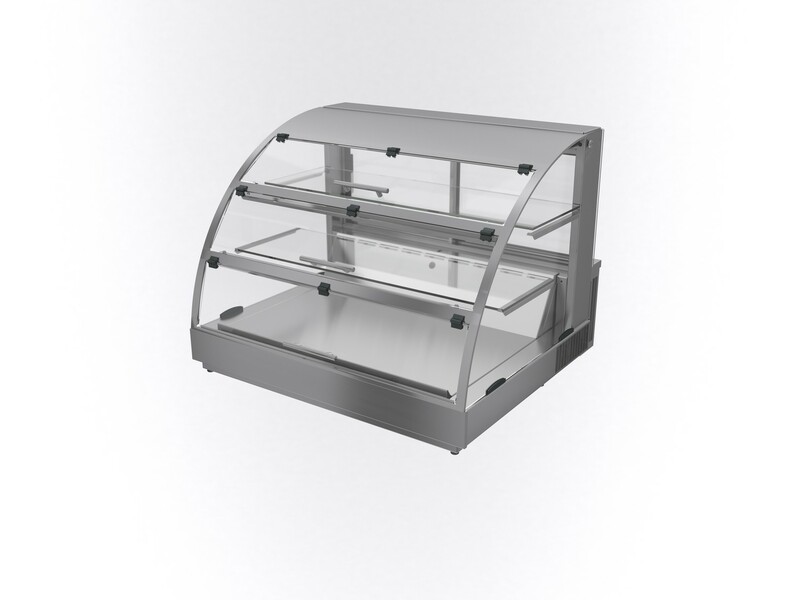 • Produce displayed on removable glass shelve and base level.